Dutch Queen Beatrix, who abdicates tomorrow in favour of her son Willem-Alexander, spent part of her childhood in Ottawa, helping forge a tie that has lasted between Canada and the Netherlands. When the future Dutch Queen Beatrix and her family returned to the Netherlands after their Second World War sojourn in Ottawa, the young princess discovered mealtimes just weren't what she was used to. For one thing, there was no ice cream. "For the young children, going back to the Netherlands, which of course was something the adults longed for, was a bit of shock," says Carolyn Harris, a Toronto-based royal historian and blogger. "There was quite an abundance of food in Canada, whereas for the little girls, when they went back to the Netherlands, they noticed that ice cream, for instance, wasn't available as it was there," because of Europe's post-war food shortages. Ice cream had been just one small feature of a royal life lived with a certain degree of normalcy and anonymity during the royal family's five-year stay in Ottawa. It was also a period that ultimately forged close ties between Canada and a country that will see its queen — that same Beatrix — abdicate in favour of her son, Crown Prince Willem-Alexander, tomorrow. "There's a long-standing relationship between Canada and the house of Orange-Nassau," says Harris, who notes that Princess Margriet, Queen Beatrix's younger sister, is a "real link between the Netherlands and Canada." Beatrix came to Ottawa in 1940 with her mother, Crown Princess Juliana, and her sister Irene. Her sister Margriet was born in 1943 in Ottawa Civic Hospital. A federal proclamation declared the maternity ward extraterritorial, ensuring that the new princess would only be a Dutch — and not also a Canadian — citizen. But that has not stopped Margriet from visiting Canada many times over the years and receiving an honorary doctorate from McMaster University in Hamilton last year. 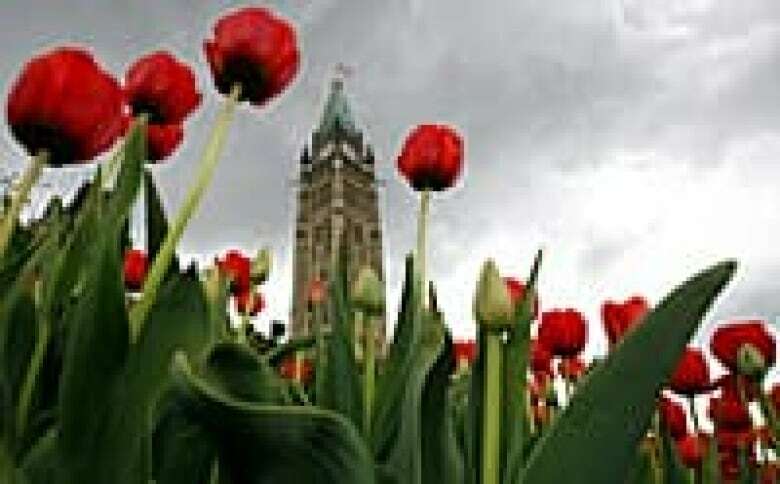 The gratitude the Dutch royal family felt for its time in Ottawa — coupled with the thanks they felt for the role of Canadian Forces in the liberation of the Netherlands — also spawned one of the city's higher-profile and more colourful events: the annual Tulip Festival. After the royal family's return to the Netherlands, Juliana's mother, Queen Wilhelmina, gave Canada 100,000 tulip bulbs. The gift has become an annual one, and the inspiration for the festival that was launched six decades ago. For Beatrix and her sisters, the time in Canada — much of it spent in Stornoway, now the residence of the leader of the Official Opposition — was a chance, relatively speaking, to live a normal life. "There was a certain degree of anonymity for the children in Canada that they didn’t have in the Netherlands where the House of Orange-Nassau really symbolized the Dutch resistance and Dutch independence," says Harris. 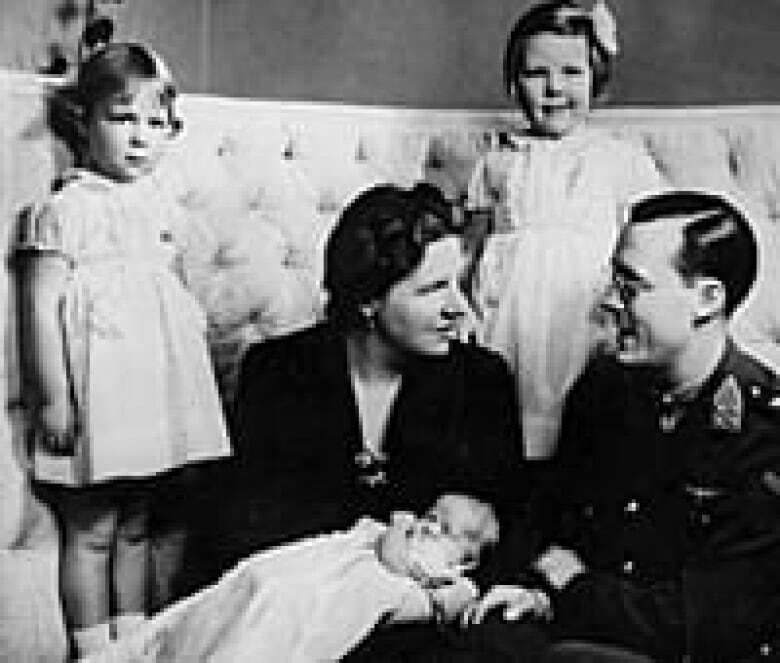 "When Princess Juliana and her daughters left for Canada, Juliana made it clear that her daughters would be seen in public and … that they would be living informally." Beatrix went to elementary school in Rockcliffe Park. "One of my friends … was in her class and remembers that she was known as Trixie Orange," says Michiel Horn, a professor emeritus of history at Toronto's York University, who was born in the Netherlands. Horn says Juliana, who never took very well to the kind of scrutiny that comes with being part of a royal family, particularly in its homeland, "really appreciated" her time in Ottawa. "Their life was as near to being normal as it could be given that they were out of their own country and given that of course Juliana was heir to the Dutch throne." 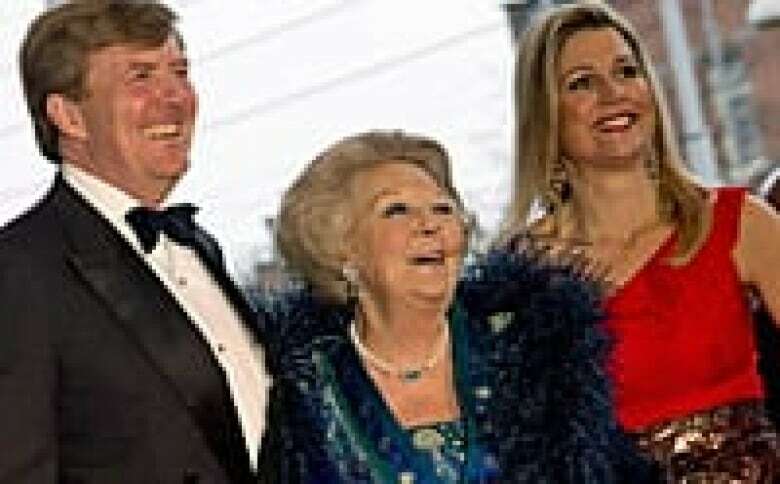 Juliana was queen from 1948 until 1980 when she abdicated, on her 71st birthday, passing the throne to Beatrix. That throne will now be handed to her son on Tuesday, giving the Netherlands its first king in more than a century. Beatrix will be the third Dutch queen in succession to abdicate, following her grandmother and mother, in 1948 and 1980 respectively. "In the Netherlands, it's become an established tradition and this allows the new monarch to have transition time to grow into the new role and still be advised by the former monarch," says Harris. "Unlike in the United Kingdom and Canada, for instance, where the abdication of Edward the Eighth was a destabilizing event that appeared to shake the foundations of the monarchy, in the Netherlands, royal abdication is expected and it's a very smooth transition of power from one reign to the next." For some Canadians of Dutch heritage — the Dutch Embassy says one million persons of Dutch origin reside in Canada — the abdication was to be expected. "I figured it would happen sooner than later," says Adri Degroot, a director of Club The Netherlands in St. Catharines, Ont. "She was getting older, too." Degroot says Beatrix "seemed like a mother for the country," but considers that Willhem-Alexander will bring "a new vision to the country. He should be good." Horn isn't predicting what kind of king Willem-Alexander will be. But he does note that there was some considerable public commotion when he married because his Argentine wife was the daughter of a man who was a minister in her native country's dictatorship. But Maxima "seems to have done very well," says Horn. "Her father's had the good sense not to intrude himself onto the Dutch scene." In fact, says Harris, Maxima's parents won't be at the ceremonies on Tuesday. Horn considers that Beatrix's reign was "competent and quite normal," without the kind of controversy that erupted over her mother Juliana's involvement with a faith healer in the mid-1950s as she sought a cure for her daughter Christina's eye problems. Beatrix "is widely loved even with people who have misgivings about the monarchy as an instiution," says Horn. "Beatrix, in so far as I am able to judge, has been a perfect constitutional monarch." From Horn's perspective, Beatrix's departure from the throne is more of a retirement, and it's a move he sees holding much virtue. "I think the present situation in England, where Charles has to hang in there while his mother carries on as best she can —well, I know why it happens, but I must say that in this respect I think that the Dutch royal house has it right." It also does it differently — at least when it comes to how the actual throne passes hands. Harris says the ceremonies installing Crown Prince Willem-Alexander on Tuesday will be very different from how the House of Windsor puts a new monarch on the throne in England. Regalia that goes with the position will be on display, but no crown will be placed on Willem-Alexander's head. There will be a church setting, and a reciprocal oath between the new king and members of parliament. "It's definitely a more elaborate ceremony than in Spain, for instance, where [King] Juan Carlos simply went to parliament and was sworn in there," says Harris. "Because the coronation of Elizabeth the Second is so iconic— it was shown on television around the world — often there's an assumption that all monarchs receive a coronation of that kind, and it's not recent practice among the continental monarchies." Willhem-Alexander will also want a calmer arrival to the throne than his mother experienced in 1980. "Hopefully the proceedings will be more peaceful than they were when Beatrix came to the throne and there was some rioting in Amsterdam about the lack of affordable housing," says Harris.